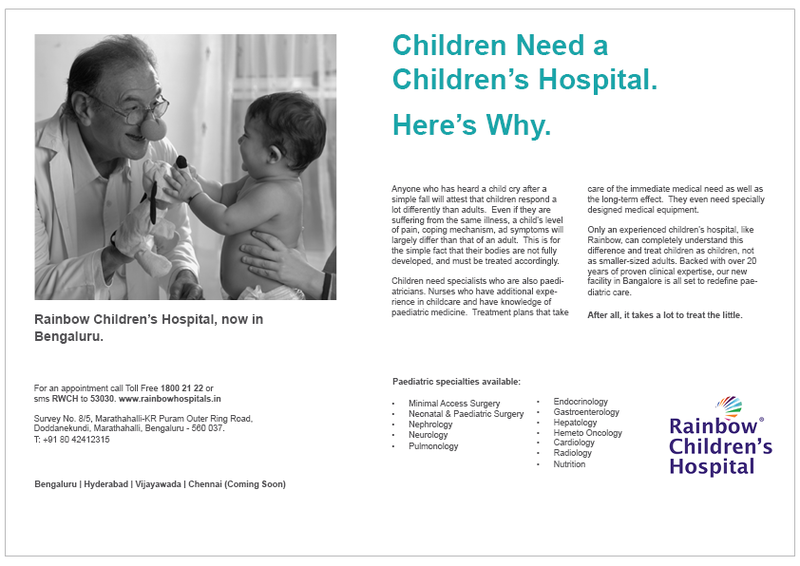 Entry into newer markets prompted Rainbow Children’s Hospital to re-look at its marketing strategy. Medium helped the client develop and execute a high-impact communication strategy, which resulted in an impressive customer franchise. To reinforce its strong brand equity in existing locations and create a strong appeal in the newer markets, Rainbow engaged us to develop and help implement the right positioning and communication strategy. Our senior team conducted in-depth interviews, in line with our unique ‘Guided Conversation Framework’, with multiple stakeholders ranging from young parents and general physicians to paediatricians and CXOs in leading hospitals. It helped us get a better understanding of the competitive landscape and also Rainbow’s unique strengths in newer territories like Bangalore. Emerging insights centered around the unique needs a sick child tends to have: both physiologically, and psychologically. Backed with these insights, and our understanding of the decision-making process and Rainbow’s unique strengths, we arrived at a clear positioning strategy. Performing virtually as the client’s own marketing team, we helped select the right creative agency, shared a comprehensive creative brief and managed the on-going relationship. A high-impact launch campaign was developed leveraging different media vehicles: print, television, outdoor and radio. Our creative strategy highlighted the hospital’s close association with Mahesh Babu, the superstar of the South Indian film industry, and projected him as the brand ambassador in very endearing TV Commercials avoiding the usual anxiety-ridden route. 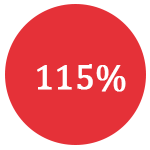 The campaign had an extremely impressive response in terms of top of mind recall. The new 200-bed flagship hospital in Bengaluru achieved impressive patient volume in the first year of launch exceeding projected targets by 15%.